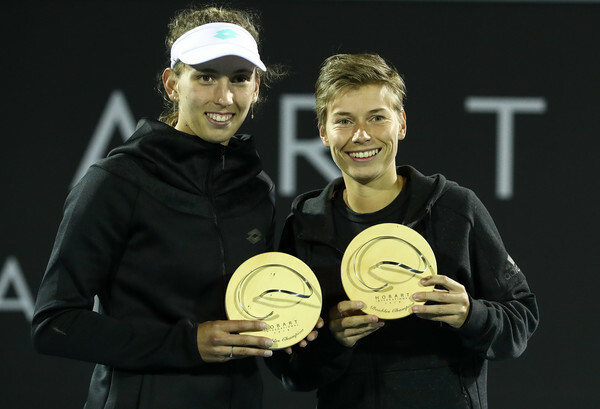 Following a successful year, Elise Mertens and Demi Schuurs managed to qualify for the 2018 WTA Finals having won three titles this year alone. 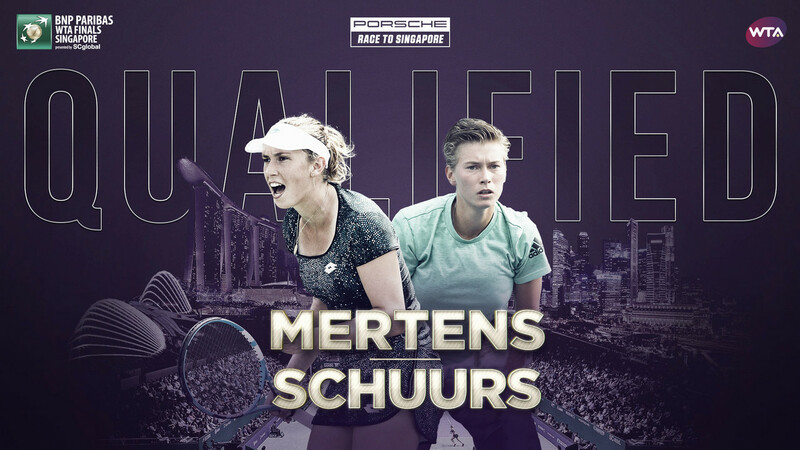 The pairing of Elise Mertens and Demi Schuurs did not last throughout the entire year — but the excellent results achieved together allowed for them to qualify for the 2018 WTA Finals and make their debuts in this prestigious tournament. Having claimed titles in Hobart, ‘s-Hertogenbosch and Wuhan, they are truly one of the most dangerous pairs in the business currently. Mertens and Schuurs claimed their first title of the year as a pair in their first tournament — the Hobart International where they battled through several tricky opponents as the third seed. They had to wait until the Miami Open for another good run as they ousted seventh seeds Gabriela Dabrowski/Xu Yifan in the opening round of play. The pair split for the entire clay-court season but reunited for some grass-court action. Interestingly, after a stretch of poor results, they claimed their first title in the first tournament upon their reunion. Mertens and Schuurs lost just one set en route to their triumph at the Libema Open in ‘s-Hertogenbosch, before defeating fellow WTA Finals qualifiers Nicole Melichar/Kveta Peschke to reach their second consecutive final in Birmingham. The best was yet to come, as it proved to be. In what could be their biggest triumph ever, Mertens and Schuurs have impressively proven their credentials with a stunning run to the title at the Wuhan Open. They continued their run by reaching the last four in Beijing and will enter Singapore being high on confidence. Schuurs, winning a grand total of six WTA titles on the tour this year with various partners, will be making her debut in Singapore. Fans would be relatively surprised that Mertens, who specializes in both singles and doubles, will be making her debut at the WTA Finals in the doubles competition instead of the singles competition. Nonetheless, it was an impressive year for the pair who truly deserved their spot at the prestigious tournament. “We are happy to qualify for the WTA Finals for the first time in our careers,” said Mertens. Schuurs, the tour leader in the number of titles won, added, “Elise and I have an incredible season together. We look forward to ending the season on a high note with some great matches in Singapore.” They will most likely be the fifth seeds in the tournament.